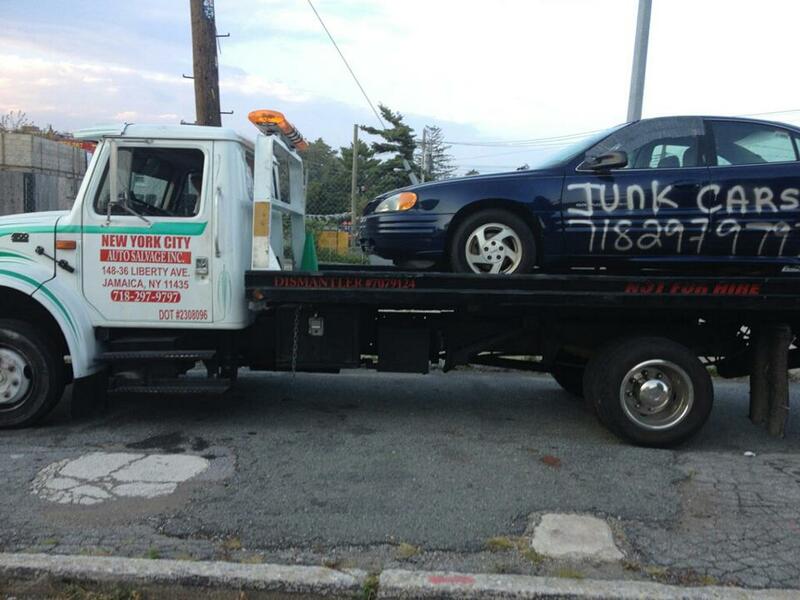 Home » Posts Tagged "NYC Auto Salvage"
Car is one of the most expensive investments someone may have. For car enthusiasts, they treat it like their own baby. Oh well, just like a baby, you don’t want it to have annoying scratches and most of all dents. Such a big no, no and no! Ever imagine yourself having a bad day with just parking your car in front of a supermarket then a push cart just bump it? And boom! There is a dent in your beloved car. Sometimes, inevitable hailstorm causes wreak havoc and leave noticeable dents. How frustrating, isn’t it? Worst is you don’t have a choice but to deal with those dents. Unless you have this super magical power and you can remove dents by just staring, you might want to consider the following ways. First and foremost, I would suggest using a different plunger and not the one you use in your toilets (If you don’t have spare, just make sure to clean it first, okay?). This method is ideal for small-to-medium-sized dents. The procedure is just easy. All you need to do is to pour water on both the dent and the plunger and start pushing and pulling. Remember how you use the plunger in your toilet, it’s just the same. Continue doing so until you hear the popping sound. By the way, it is much better if you will do it on a sunny day and outside. The heat from the sun makes the plastic become flexible allowing you to push and pull easier. Another technique is by using boiling water. Just replace the “water” with boiling water and go through the same steps. Not only hair dryer is popular to girls, it is to men now. Do you know that this small equipment along with compressed air can do wonders to your car dents? Start off by switching on your hair dryer at highest temperature and heat the car dent. Note that it should be between 5 to 7 inches away from the dent. When you notice that the heat is enough (too much can cause damage to paint), get your compressed air can. Don’t forget to turn it upside down before starting spraying the affected area. You will see that the dent will pop out. Remember how we used the hair dryer in Number 2? The same thing applies here. The only difference is instead of compressed air, we are going to use dry ice. This method requires extra caution not only with your car’s paint but also to your skin. Say that you already heated the dent, now get an aluminum foil and cover it. Not only that aluminum foil will keep the area warm, it will also serve as protection from scratches since dry ice is hard. Now, get your insulated rubber-coated gloves and grab the ice. Gently brush the ice on top of the aluminum foil. Once you are done, wait for few minutes until you hear a popping sound. Remove and dispose foil after used. All these three ways might not be enough after single application. You may repeat the process when there are still noticeable dents but do not overuse. Remember the saying, “too much is bad”. Consult your nearest auto repair shop and bring your baby for inspection. Better be sure than sorry. 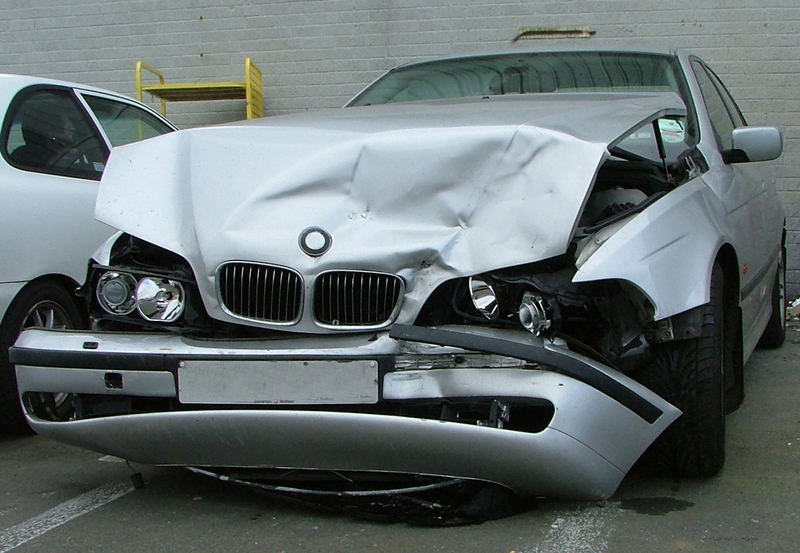 We at New York City Auto Salvage & Glass, offers this kind of service. We also have cheap used auto parts if you need one. Take note, we are offering free delivery. So what are yah waitin’ for? Drop us by and we are happy to serve you. When to Change your Car Tires? Tire is one of the most essential parts of a car. It is better to have to check to ensure safety. Why? According to N.H.T.S.A, about 200 fatalities are caused by tires failure. Yes! So why wait to be in this 200 list when you can avoid it in the first place. Here are some tips that will help you decide if it is the right time to replace your car tire and shop for new. Check if the tread is down to 1/16th of an inch (1.6mm). If this is the case, the tire is no longer safe. You might encounter hydroplaning on wet roads and cause brake control issues. Check the tread using the “penny test”. If the very top of Lincoln’s head is showing or the copper above it, do not think twice and replace your tires immediately. If Lincoln’s hair on top of his head is halfway seen, you better consider shopping for new tires. If the hair on of top of his head is not showing; given that it is inserted deeply, then congratulations! Your tires are healthy as a bull! Use a tread depth indicator or gauge to measure your tire’s head. Let your take their retirement age. The minimum replacement time that is recommended by the N. H.T.S. A is six years and 10 years as the maximum. Be observant of dry rot. Little cracks in your tire are signs of damage. It means that the rubber is breaking down. Have it check or consider replacing it. Make it a habit of checking your tires for a safe ride. As the saying goes, “Better safe than sorry.” But if you find buying new ones a pain in your pocket, you can still consider buying at salvage yard. We at New York City Auto Salvage and Glass, we have varieties of used tires in good condition to fit your needs and budget. In addition, we also have cheap used auto parts for all your other needs. Cool, right? When is the Best Time to Junk your Vehicle? Junking your vehicle could be a very hard decision. It could be your very first vehicle and you have gone through a lot with it. However, it is a decision that you will eventually have to do especially if it is already unwise to keep it. So, when is really the right time to junk that old vehicle sitting on your garage? One, if it is already too expensive to have it repaired. Sometimes, it is wiser to just buy a new vehicle rather than having that old car repaired because it will cost you a lot of money that it feels like you have already bought a new one. When you repair it, you are not even sure if it will work once again. It could even impose harm in case one part breaks down while you are driving. Second, if your vehicle has been sitting on your garage for years, we hope you understand that you have to let it go. Rust and bacteria infesting your vehicle could impose severe harm to your household, so it would be best if you will just have a salvage yard get your vehicle so that it could be appropriately disposed. You’ll earn money from selling your old vehicle. New York City Auto Salvage & Glass buys vehicles no matter what the condition is. Rest assured that you will be properly compensated. We offer the best price here in New York City so come visit us today!